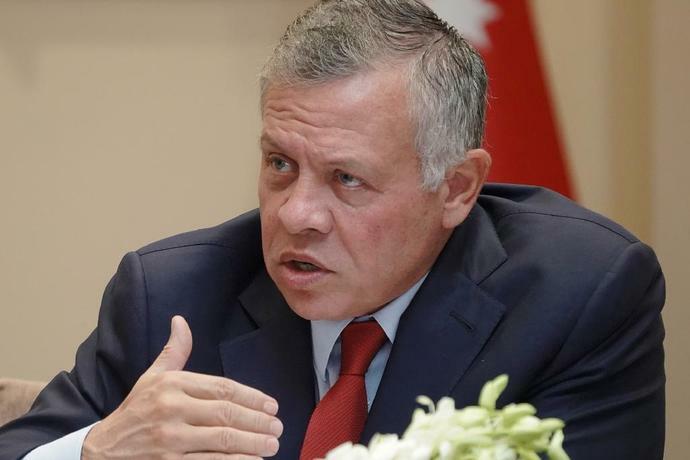 Amman (AFP) - King Abdullah II announced Sunday that Jordan has notified Israel it wants to reclaim two small plots of territory leased under their 1994 peace deal. "We have informed Israel (that we are putting) an end to the application of the peace treaty annexes regarding Baqura and Ghumar," said the king, quoted by official news agency Petra. But Israel's Prime Minister Benjamin Netanyahu said he wanted to open negotiations to keep the current arrangement in place. The land was leased to Israel for a 25-year renewable period under annexes of the 1994 peace treaty that lay down a one-year notice period, with Jordan retaining sovereignty. "Israel was informed today of the Jordanian decision," the monarch said, stressing that "Baqura and Ghumar are Jordanian land and will remain Jordanian". "Baqura and Ghumar have always been at the top of our priorities, and we have decided to put an end to the application of the peace treaty annexes regarding Baqura and Ghumar," he added. Netanyahu confirmed Sunday that he had been informed of Jordan's request. "As part of the agreement between our two countries, Jordan kept the right to take back the two areas at the end of the 25-year period," the premier said. "We will open negotiations on the possibility of prolonging the existing agreement," he added, as Israel marked the anniversary on the Jewish calendar of former prime minister Yitzhak Rabin's assassination. 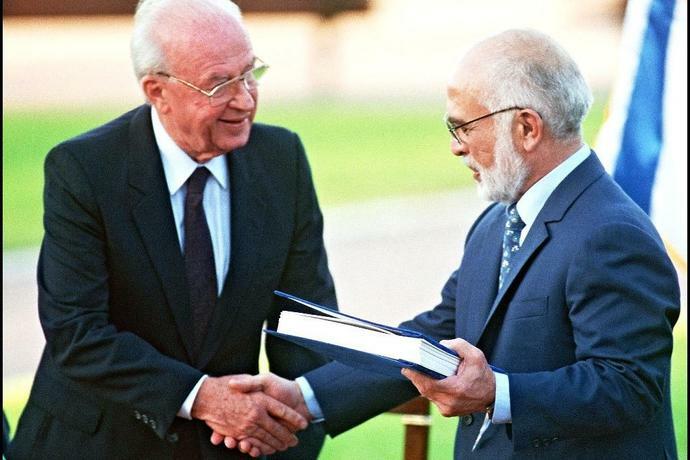 Rabin signed the peace agreement with Jordan and was killed by a right-wing Jewish extremist in 1995. "There is no doubt that from an overall point of view, this agreement constitutes an important and valuable asset for our two countries," Netanyahu said. The agreement on Baqura and Ghumar is automatically renewable unless either side gives a year's notice to terminate the deal, "in which case, at the request of either party, consultations shall be entered into". On Friday and Saturday hundreds of Jordanians took to the streets in the kingdom's capital Amman calling on authorities to reclaim the two territories. Ghumar, which covers four square kilometres in the southern Aqaba province, was taken by Israel during the 1967 Six-Day War. Baqura, a border area of six square kilometres (2.4 square miles) in Jordan's northern Irbid province, was taken by Israeli forces in 1950. During the peace negotiations, Amman allowed Israel to keep temporary control of Ghumar and Baqura -- under the pretext that Israel had already built infrastructure and agricultural facilities in the areas -- as long as it recognised they were sovereign Jordanian territory. Lawmaker Saleh al-Armouti told AFP that deputies "had even called for an urgent meeting of parliament to discuss the issue". He welcomed the king's decision, hailing it as "a positive step that restores dignity to the Jordanian citizen and sovereignty over his land." Director of the Al Quds Center for Political Studies Oraib Rantawi said Jordan's request would be a "test of Israeli intentions". Political analyst Adel Mahmoud said Jordan could face "pressure" from the United States, a key backer of both parties, to push for new negotiations if the Israeli response was negative but that "the king's decision has full popular support".